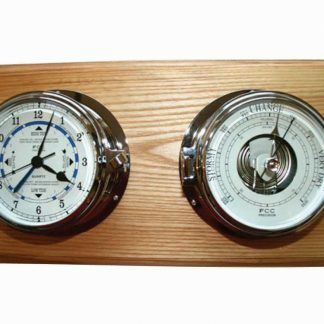 Presentation Barometer & Tidal Clock set. Stunning, quality cast brass cases. Marine quality. Lacquered and varnished, giving a highly polished finish which is low maintenance. Bevelled mineral glass fitted to case along with rubber sealing ring. The instrument door opens, allowing easy access to the movements for any necessary adjustment. 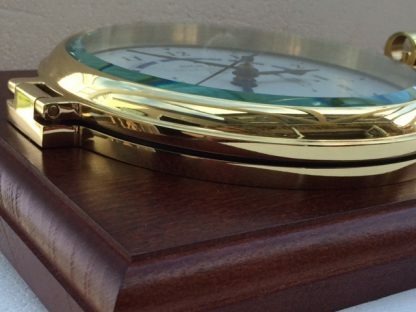 A standard clock rather than a Tidal Clock can be supplied if preferred. With or without engraving plate. Hand built in Cornwall. Please note the Time & Tide Clock should not be relied upon for navigational purposes. A quality gift for that special occassion whether it be retirement, wedding, anniversary or 21st birthday. A gift to last a lifetime and to cherish. 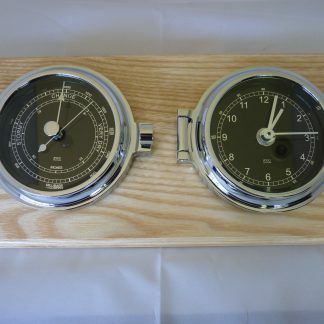 Presentation Barometer & Tidal Clock set. Stunning cast brass case on both instruments. Marine quality. Lacquered and polished, making them low maintenance. Bevelled mineral glass fitted to case along with rubber sealing ring. 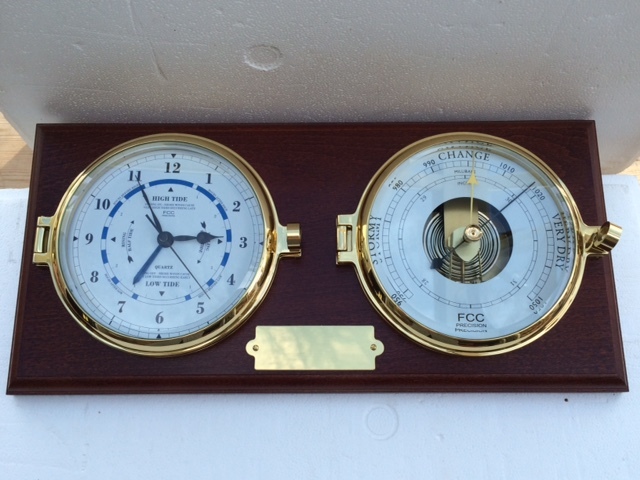 A standard clock rather than a Time & Tide Clock can be supplied if preferred. With or without engraving plate. Hand built in Cornwall. The clock will predict the average state of the tide once it has been correctly set, which satisfies most peoples needs (full instructions provided). 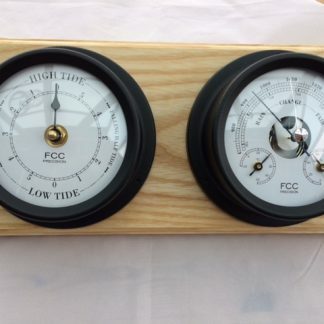 It must be stressed that other influencing factors, such as storms, high or low surface pressure and direction can affect the actual tide times. The clock is driven by a quartz movement and is supplied with the relevant battery. 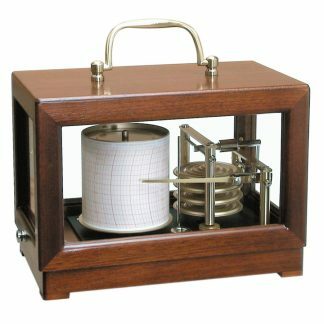 Barometers read the pressure of the immediate location, where placed (no more relying on general location forecasts). It will advise you of what weather to expect in the next 12 – 24 hours. No battery is required. The gold pointer in the glass should be turned so that it rests directly above the black barometer pointer. The gold pointer acts as a marker enabling you to remember today’s pressure when you next look at your barometer. You can thus see whether the pressure is rising or falling and how significant a rise or fall in pressure has occurred. A rapid increase in pressure indicates a short period of good weather and a fast decrease, indicates storms and strong winds approaching. 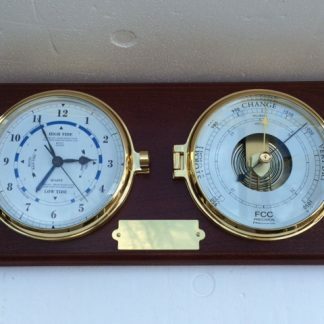 A slow, constant increase in pressure indicates a period of settled, dry, sunny weather. A steady decrease indicates persistent bad weather. If the pressure falls considerably below 1000 millibars, you can expect storms and strong winds.